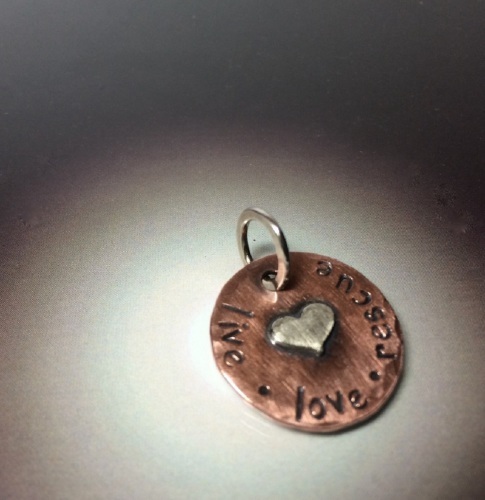 LIVE~LOVE~RESCUE Pendant, created with sterling silver and copper. Measures 3/4" across. All pieces are hand crafted by me in my MN studio, and have a hand applied patina. 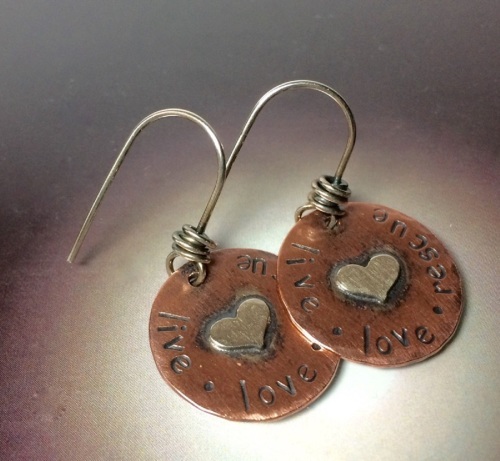 LIVE~LOVE~RESCUE Earrings, created with sterling silver and copper. They measures 3/4" across, and have sterling silver hand wrapped ear wires. All pieces are hand crafted by me in my MN studio, and have a hand applied patina. LIVE~LOVE~RESCUE Necklace. 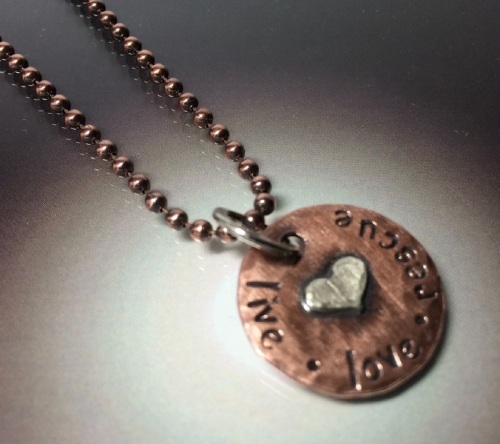 3/4" copper and sterling pendant is hung from an 18" copper ball chain. All pieces are hand crafted by me in my MN studio, and have a hand applied patina. LIVE~LOVE~RESCUE Necklace. 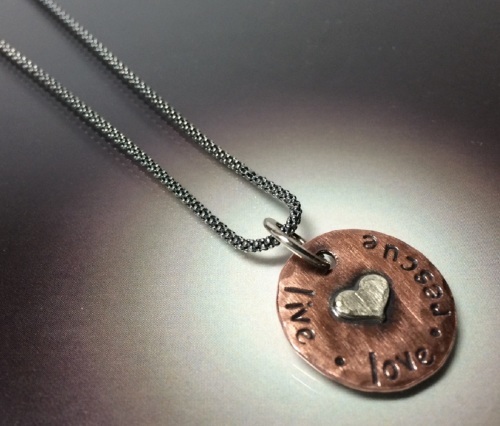 3/4" copper and sterling pendant is hung from an 18" sterling silver chain. All pieces are hand crafted by me in my MN studio, and have a hand applied patina.